Hi everyone! Wimbledon is just a few months away, and we are thrilling for its begin. That’s why today in Slazenger Heritage, vintage jumpers, we are talking about one of its biggest traditions: why players have to wear white at Wimbledon. Why wearing white at Wimbledon? As you know, Slazenger has been at Wimbledon since the beginning, and we have to go back there to find the answer. In the 19th century, tennis players wore white at Wimbledon to hide sweet stains. While wearing others colors, the sweet stains were more visible, and it was considered improper, mostly for women, to sweat in public. How is the rule now? Over the years, the rule hasn’t changed very much. The only changes are in “how much” white they have to wear, with sentences like “predominately white” or “almost entirely white“, as it is now. A few years ago, Wimbledon launched a new official dress code, which makes clears to players what to wear. It includes shirts and pants, but also accesories like wristbands or caps. In fact, everything that may be visible, including underwear or shoes soles. 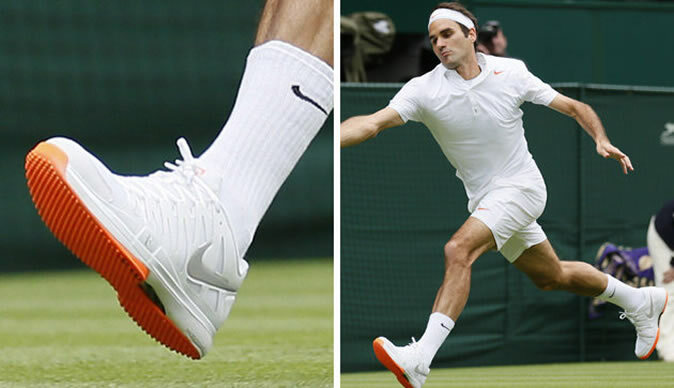 Roger Federer was forced to change shoes because of this last thing. It’s also clear that white is white, off white or cream are not allowed. However, a bit of colour is allowed. Only single trims no wider than one centimetre in places like neckline, shorts, or caps. Well, it doesn’t look like. Other tournaments, such as the US Open, had the same dress code, but hey all have changed over the years. There are a few players that complained about its strictness, to the point of skipping the tournament. 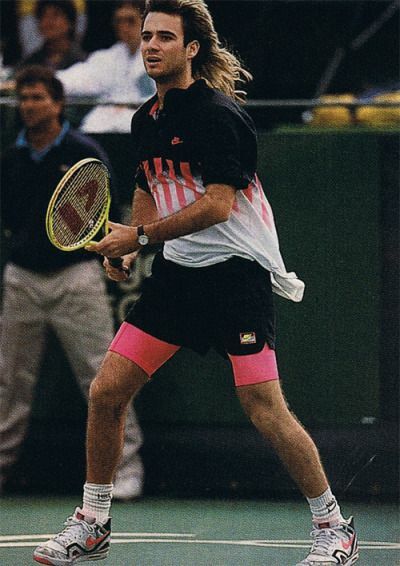 That’s what Andre Agassi did for a few years as he wasn’t allowed to wear his famous flashy clothing. Can I wear white at Wimbledon? You can, and we can help you. 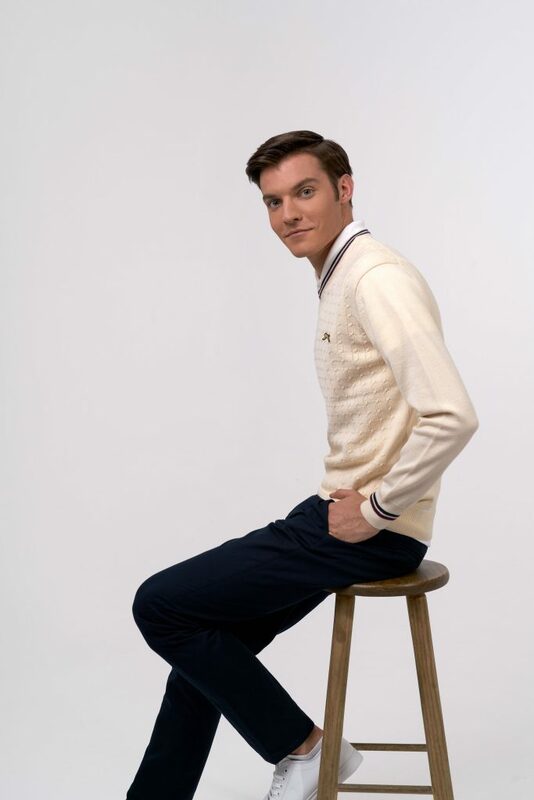 With the Slazenger Heritage Tennis Collection you can wear the Wimbledon spirit as a true gentleman. Both our Tennis Legend jumper number 1 White and our Tennis Legend jumper number 3 will make people at Wimbledon jealous of you. It doesn’t matter if you wear white at Wimbledon, you will enjoy a lot for sure. 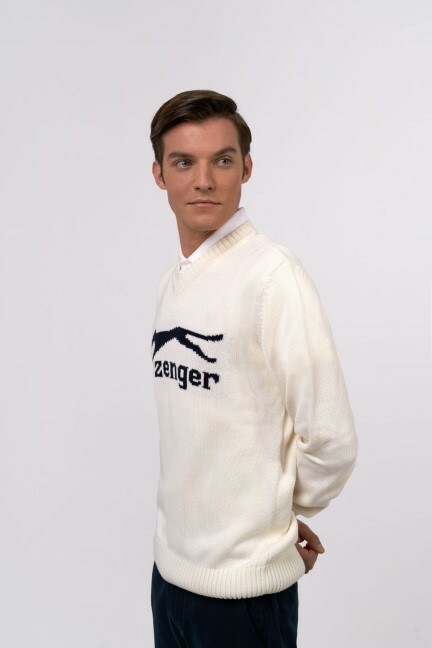 But if you wear our Slazenger Tennis Jumpers, make sure to send us a picture!